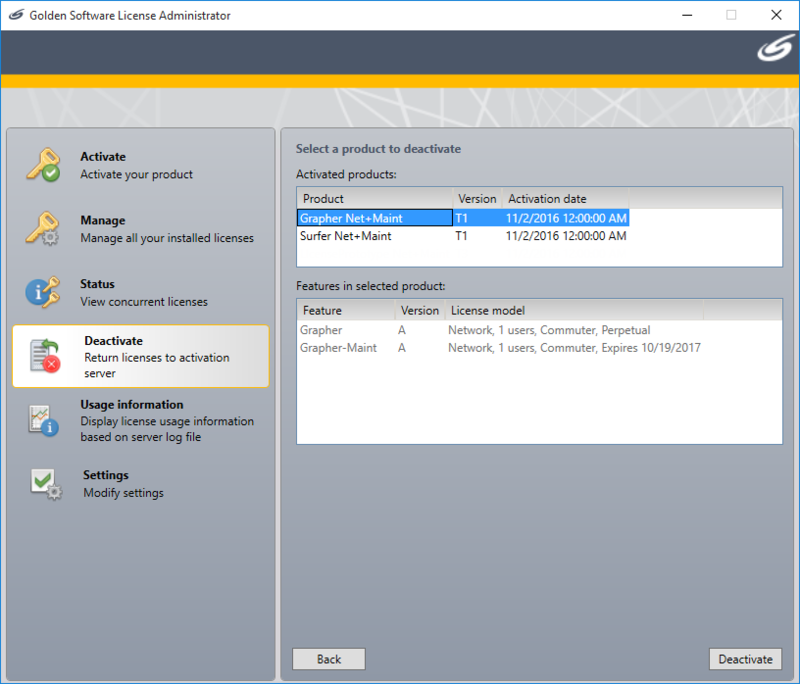 To move your concurrent license to a new server, you will first deactivate the license on the old server, then install the license administrator and license manager on the new server, and finally activate the license on the new server. - Deactivate online: See the article How do I deactivate my concurrent-use Golden Software license? for instructions. In the Select a product to deactivate table, click the desired product in the Activated Products list. Follow the instructions in the article How do I set up my license server for Strater, Surfer and Grapher? to set up and activate the license on the new server computer. The conversion is now complete. The last step is to have your end-users connect to the new server using these instructions, or push the new server through to the end-user machines using these instructions.